New Delhi: Calling Prime Minister Narendra Modi a “world famous liar”, Delhi Chief Minister Arvind Kejriwal on Monday accused him of behaving like a Pakistani Prime Minister to subvert India’s federal structure. Extending support to his Andhra Pradesh counterpart N. Chandrababu Naidu in his demand for special category status to the southern state, the Aam Aadmi Party (AAP) chief also said PM Modi cannot be trusted. “It is unfortunate that the Chief Minister and thousands of people from Andhra have to demonstrate here for special status for the state. 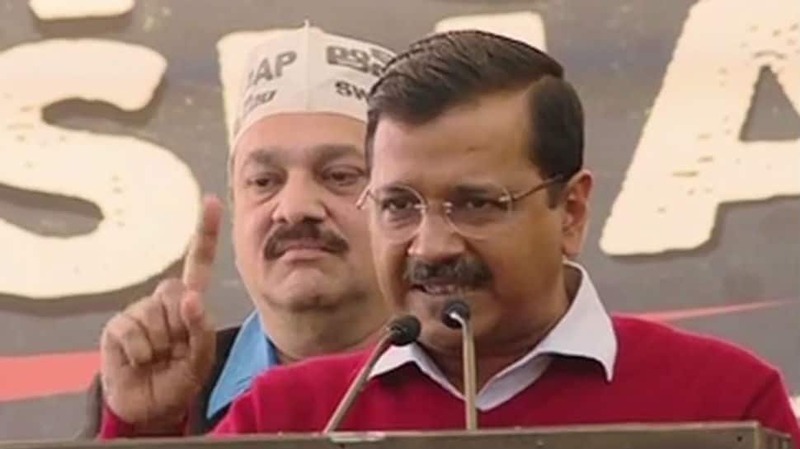 This poses a big question on the country`s federal structure,” said Kejriwal at the Andhra Bhavan here where the Telugu Desam Party President is on fast asking the Centre to give special category status and fulfil other commitments made in the Andhra Pradesh Reorganisation Act, 2014. “The PM at least thrice publicly declared he would give special status to Andhra. He is world famous for lying. Whatever he says, he never fulfills. Even (BJP chief) Amit Shah says that whatever they say is nothing but `jumla` (fake promise),” he said. Attacking PM Modi over the CBI`s showdown with West Bengal Chief Minister Mamata Banerjee, Kejriwal accused him of behaving like a Pakistani Prime Minister. “I want to tell Modi that he is not the Prime Minister of his BJP alone but of the entire India. The way he treats state governments run by non-BJP parties looks as if he is the Prime Minister of Pakistan. The AAP leader pointed out how PM Modi had the Anti-Corruption Branch of the Delhi government seized by paramilitary forces. “Now he sent 40 CBI officers to arrest Kolkata`s Police Commissioner to send a message to the police and bureaucracy in all states that they should not be loyal to state governments but to the Centre,” he alleged.